Save the Kids free Parent Education Night sponsored by Nebo School District. 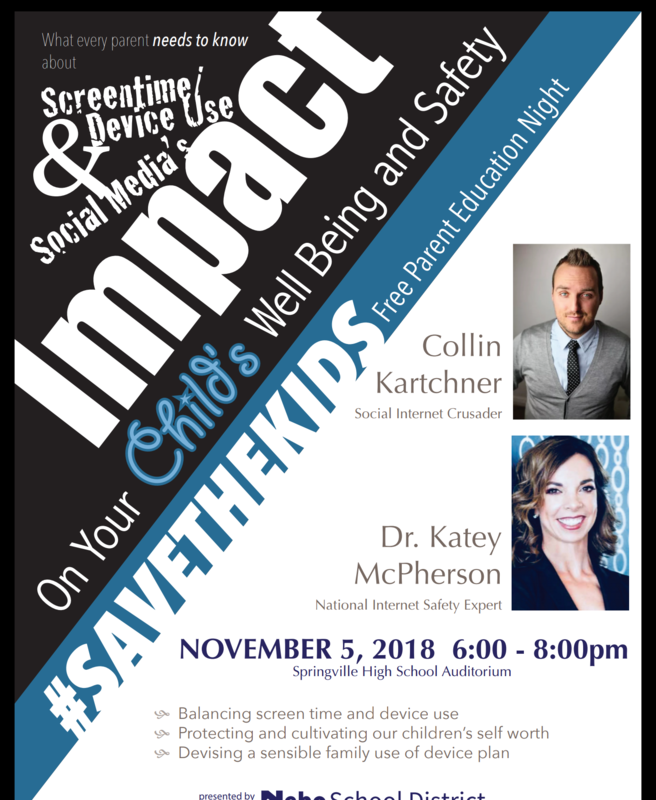 We are excited to have secured Collin Kartchner and Katey McPherson to present to Administrators and Counselors on Nov. 5 at 10:00 am, in the Board Room, at the District Office. This will be an opportunity you won't want to miss. All public is invited to the #savethekids free Parent Education Night sponsored by Nebo School District on November 5, 2018, from 6:00 to 8:00 p.m. in the Springville High auditorium at 1205 East 900 South in Springville, Utah.